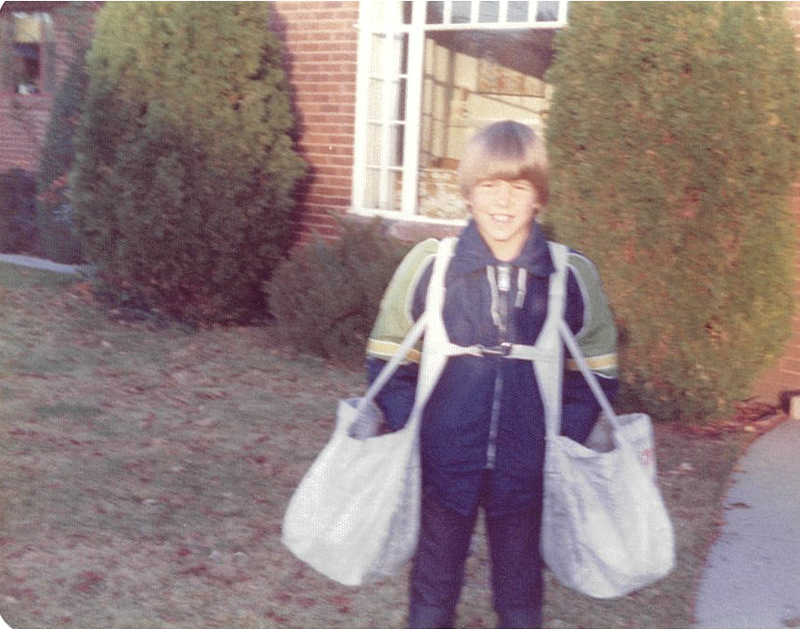 This is me at 10 years old, working on my paper route. I would start at 5 a.m. because a professor at UNR wanted his paper extra early. How many parents today would send their kid out alone at 5 in the morning? I used to ride all over town on the banana yellow seat of my 5-speed bike, which had a gear shift in the middle like a car. Boy, was that cool! To make matters even more dangerous, I rode without a helmet and wore gigantic headphones covering my ears so I could listen to the radio. I would have never heard a car coming up behind me. I am sure you have some of the same memories, and hope that this email which was forwarded to me by another one of us “old timers” will help you reminisce. Enjoy! Then, after that trauma, we were put to sleep on our tummies in baby cribs covered with brightly-colored lead-based paints. We had no childproof lids on medicine bottles, doors, or cabinets. When we rode our bikes, we had no helmets, and not to mention, the risks we took hitchhiking. As infants and children, we would ride in cars with no car seats, booster seats, seat belts, or air bags. Riding in the back of a pick up on a warm day was always a special treat. We drank water from the garden hose, NOT from a bottle. We shared one soft drink with four friends, from one bottle, and NO ONE actually died from this. We did not have PlayStations, Nintendos, or Xboxes (no video games at all), no 150 channels on cable, no videotapes or DVDs, no surround sound, CDs, iPods, cell phones, personal computers, Internet, or chat rooms. WE HAD FRIENDS, and we went outside and found them! We were given BB guns for our 10th birthdays. We made up games with sticks and tennis balls, and although we were told it would happen, we did not put out very many eyes. We rode bikes or walked to a friend’s house and knocked on the door or rang the bell, or we just walked in and talked to them! These generations have produced some of the best risk-takers, problem solvers, and inventors ever! The past 50 years have been an explosion of innovation and new ideas. We had freedom, failure, success, and responsibility, and we learned HOW TO DEAL WITH IT ALL! If YOU are one of them, CONGRATULATIONS! You might want to share this with others who have had the luck to grow up before lawyers and the government regulated our lives so much. And while you are at it, share it with your kids so they will know how brave (and lucky) their parents were.